To celebrate more than six years in business, Michael and Lindsey gave thanks to the greater Enfield community by making a donation to the Enfield Food Shelf. Their donation was designed to feed six families for one week. 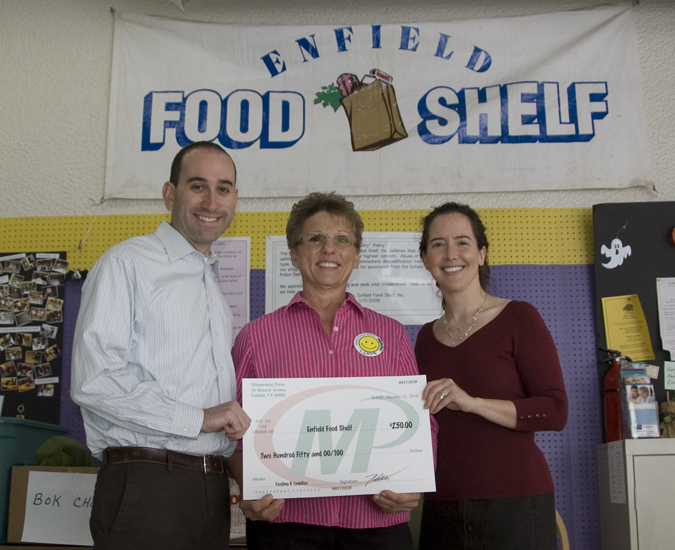 Michael and Lindsey are shown here presenting the check to Linda Bridge, Executive Director of the Enfield Food Shelf.